So What is learning management system (LMS) and how it can boost the company’s revenue and profits? Basically, LMS gives an alternative approach to learning than what standard brick and mortar schools offer. But how popular e-learning actually is? According to various reports, surveys, and studies it looks like the eLearning industry isn’t slowing down. Quite the opposite is true actually. 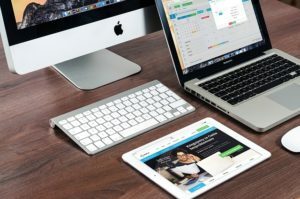 Individuals, corporations, and institutions that are turning to eLearning recognize its effectiveness and its convenience. eLearning statistics and facts for 2015 showed the LMS market was worth $2.55 billion in 2013 with an estimated compound annual growth rate of approximately 25.2% . The LMS market is expected to be worth over $7 billion in 2018. The highest proportion of revenue contribution is expected to be generated in North America. Find more Top eLearning Statistics And Facts For 2015 here. What is learning management system (LMS) in essence? In essence, a learning management system (LMS) is usually defined as a software application or Web-based technology used to plan, implement, and assess a specific learning process. It enables course instructors to administer, document, track, report and to deliver electronic educational technology (also called e-learning) courses or training programs . A learning management system should empower an instructor to create and deliver educational material, monitor student participation and progress, and finally; assess the performance. A learning management system may (should) also provide students with the ability to use interactive features such as threaded discussions, video conferencing, and discussion forums in order to contribute to the course and other students. This is also known as a way form of informal learning. Which type of LMS is required; hosted or installed. managed in-house. Advantage of this solution is the fact it allows users the to individualize and customize their learning management system according to their needs. This scenario implies that the company has a strong IT staff. Software as a Service (SaaS) model. Client buys the software, but it is housed and managed remotely by a third party and all of the stakeholders access the system over the Internet. Advantage of this solution, in general, is that it offers trainers more flexibility when it comes to scaling and maintenance. The product is sold as a service, the burden of making systems upgrades, freeing up bandwidth, and providing IT support falls on the vendor, not the customer. Because of the whole “service” arrangement, data does not have to be stored on local customer’s servers. This usually means scalability isn’t an issue; most SaaS LMSs can server thousands of users with ease. and installs it on its own data platform, but the maintenance and upgrades are managed by the LMS vendor or another third party. This solution combines some of the benefits of both approaches mentioned above. Company installs the LMS solution locally, but once everything is set up, there but the burden of making systems upgrades and technical supports falls on the third-party. Learning management system can be a simple platform for distributing course content, which must be created or pre-prepared elsewhere. This is obviously an important feature of an LMS that shouldn’t be overlooked, especially if the company has the need for course creating solution. One other aspect that should not be ignored in the enterprise environment is the possibility of LMS integration with application solutions used by HR and accounting, enabling management to measure the impact, effectiveness, and over all cost of training initiatives . After all of the above issues have been addressed, it is time to pick an adequate LMS solution. When it comes to pricing, free and commercial solutions are available. It is important not to make a rash decision and go for the free LMS, as the companies without an advanced IT staff might find free LMS solutions to be overwhelming which has hidden costs written all over it. One obvious cost is in time wasted. Free LMS products can be more complicated than commercial products. Without a reliable “support” system for the free LMS platform, making even small changes can be difficult for a novice user. Support for free LMS is in most cases available through the various online forums but sometimes it can be in a form of a separate, paid support service. Commercial software offers users a support staff, and tends to be much easier to deploy and use. This means it is important to correctly assess the capabilities of the company as ultimately a free learning management solution might be the more expensive solution that the commercial product in terms of wasted time, missed revenue opportunities, costs for third-party support, etc. If done properly, after a successful implementation of an LMS, there should be measurable benefits to the organization after utilizing advantages of learning management systems. But what are those advantages? An LMS puts the learners in the driver seat in the process of their learning, which keeps them more engaged as opposed to the situation when they are just a passive receivers of information. Learners can view, organize and schedule their learning activities based on their preferences and usually at their own pace. There are also ways to measure that increased learning engagement through their activity. When there is no need for students to attend scheduled learning sessions in the classroom learning can take place anywhere… As long as there is Internet connection available, students (employees) can access their accounts on the LMS from anywhere and anytime they want. Nowadays, people are using technology in order to simplify the everyday life. This makes technology and computing almost ubiquitous. However, elearning delivered through an LMS can only have benefits and raise the IT competence level of the students. An LMS also makes it possible to integrate social learning elements. This makes collaborative (social) learning possible – employees can learn from what their peers share through an LMS and build on that knowledge. This is utilized through formal and informal learning. A healthy peer pressure shouldn’t be overlooked as well. In this article we examined what is learning management system (LMS). Over the past years, database software has been combined with frameworks for managing curriculum, training materials, and evaluation tools and LMS is born. A learning management system (LMS) is usually defined as a software application or Web-based technology used to plan, implement, and assess a specific learning process. The LMS has become a powerful tool for consulting companies that specialize in staffing and training, extension schools, and any corporation looking to get a better grasp on the continuing education of its workforce.